THE GUNTHER GANG: date night. 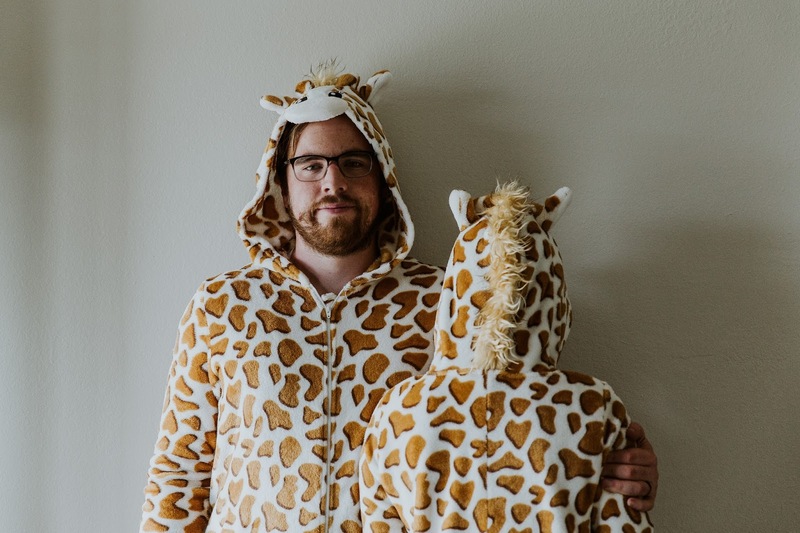 date night /noun/ : a social or romantic engagement (when wife forces husband to wear giraffe onesie whilst grocery shopping). "Honey, we should go on a date night. We can go grocery shopping in our giraffe onesies because it's halloween weekend so that means we can do whatever we want." And also that every day was Halloween.